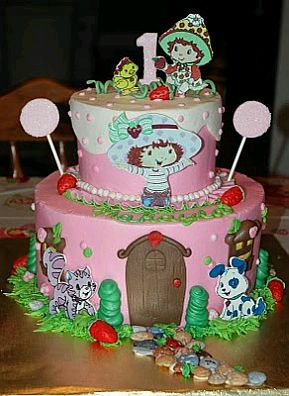 If you've already decided that the main character of the decoration of the birthday party of your little will be Strawberrie, then you must think of the decorations of the tables, the walls, the ceiling, etc.., But another element that requires all your attention is the cake. 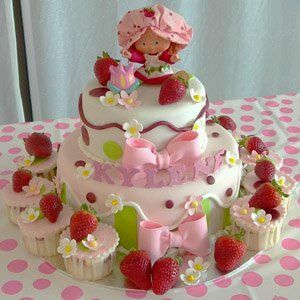 For this reason we introduce proposals Cute Cakes for Children Parties with strawberries , remember that before choosing you should take into account the number of people accordingly, choose the size and similarly, the cake decoration should go hand in hand with the party, so the details or characters used in both cases should be similar. 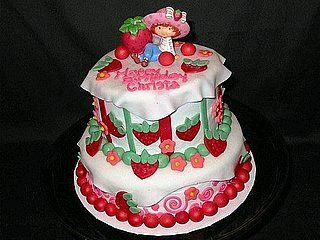 Three floors decorated cake with strawberries and flowers. 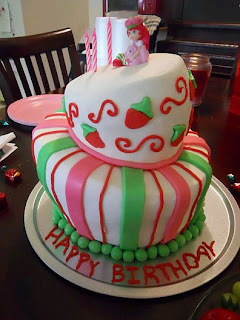 Two-floors cake adorned with pink ribbons and flowers, at the top you have Strawberry and around the base of the cake, cupcakes decorated with strawberries. 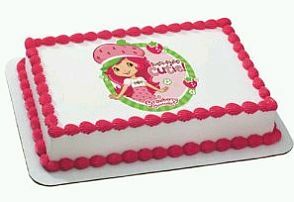 If you prefer something simpler but just as beautiful, this is the right model, rectangular cake with Strawberry image of downtown. 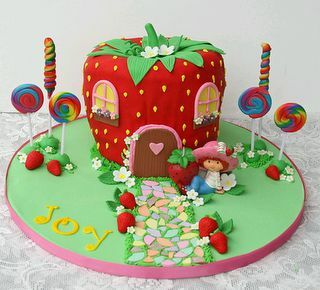 Strawberry cake in the shape of your home, ie with a strawberry and decorated with candy and strawberry around. 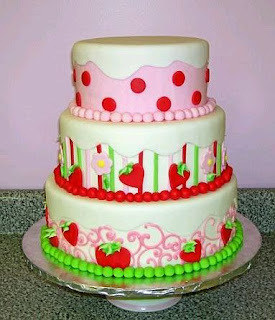 Another proposed double-floor cake with Strawberry on top and strawberries on all cake decorating. 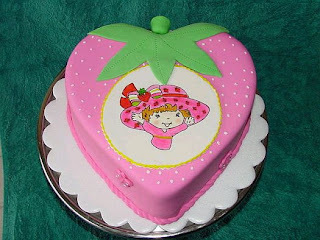 Strawberry-shaped cake with Strawberry's character in the middle. Cake decorated two-floor Strawberry house, at the bottom, their pets and in the upper Strawberry. 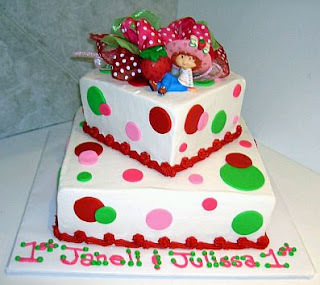 If you prefer the irregular shapes following models may interest you. 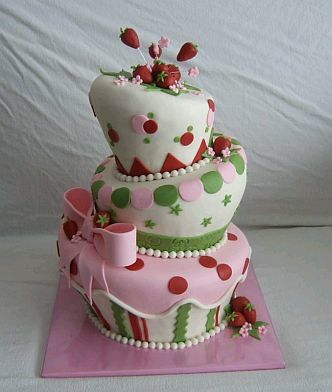 Cake with two floors, each square in shape but arranged asymmetrically in the upper part is Strawberrie. Another asymmetric cake decorated with colored lines and Strawberrie sitting on top. Very similar to the previous one but three floors, this cake is much more elegant, but also tender, as always, Strawberry, is at the top.